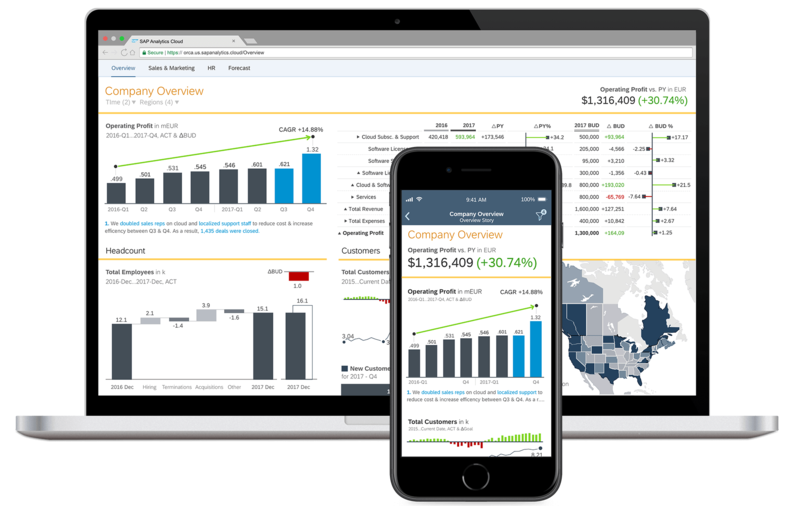 From financial planning to sales and marketing, SAP Analytics Cloud helps businesses make end-to end decisions with confidence. Track organizational KPIs in real-time with up-to-the-minute updates to your interactive dashboards. Machine learning technology highlights key business drivers and insights so you can take action. Streamline end-to-end workflows with a single software solution for business intelligence and planning. Dive deeper and run simulations right from the boardroom with a 360° view of your business. Simplify the financial planning process for all business areas and levels with integrated planning functionality. Optimize human resources and staffing with a comprehensive view of your HR efforts. Set an organizational standard for business intelligence and streamline business operations. Use data as your competitive advantage to optimize your team and seize new opportunities. Employ a data-driven marketing strategy for better results in all activities from individual campaigns to annual planning. Transform your business analytics with SAP Analytics Cloud, an end-to-end solution that’s innovating as fast as you are. Lincoln Sentry is Australia's leading trade distributor of products to the building, renovation, furniture making and shop fitting markets. To improve data insights and customer relationships, Lincoln Sentry upgraded to a hybrid suite of business intelligence and data management software including SAP Analytics Cloud. Delaware Consulting is a fast-growing, global company that delivers advanced solutions and services to organizations striving for a sustainable, competitive advantage. With the help of SAP, Delaware now runs 100% in the cloud. See how they're using SAP solutions, including SAP Analytics Cloud, to run better. SAP Analytics Cloud lays the foundation for fast, modular use, and can grow alongside your business. As a true cloud solution, SAP Analytics Cloud is convenient, secure, and scales to meet the needs of businesses of any size. SAP is a market leader with over 40 years of enterprise software experience. 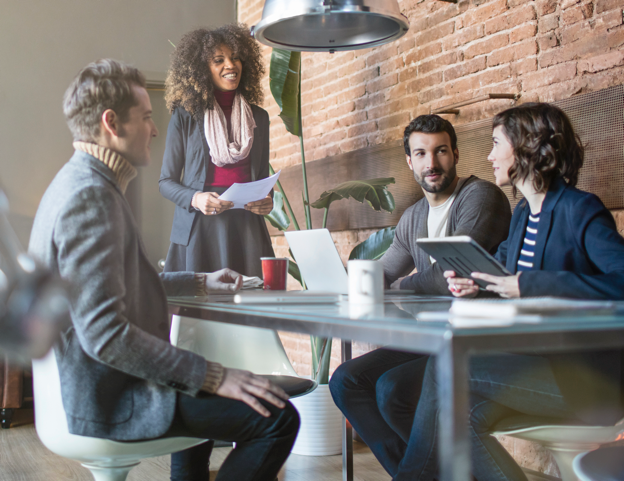 As a business-first application, SAP Analytics Cloud understands business semantics and supports intelligent use of cross-organizational data.